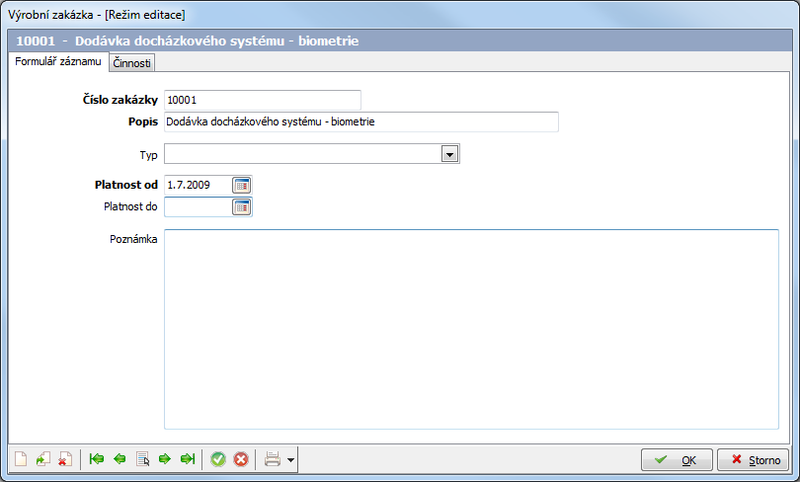 The VÝROBA module is used for software (offline) manufacturing monitoring, for data export to the subordinate system, for comparing working hours according to the real attendance with manufacturing, and for creating manager sets for various overviews, etc. The module contains a commission register which enables division according to type, activities register and their characteristics. For instance, benefits for work in a difficult environment can be calculated automatically according to the defined activity. Furthermore, a register of products and commissions is available. Lists of activities performed within a selected commission can be defined in advance.